Gets Where You Need It, When You Need It! Be Proactive with Your Immune Health! Approximately 70% of your immune system is in your digestive tract. 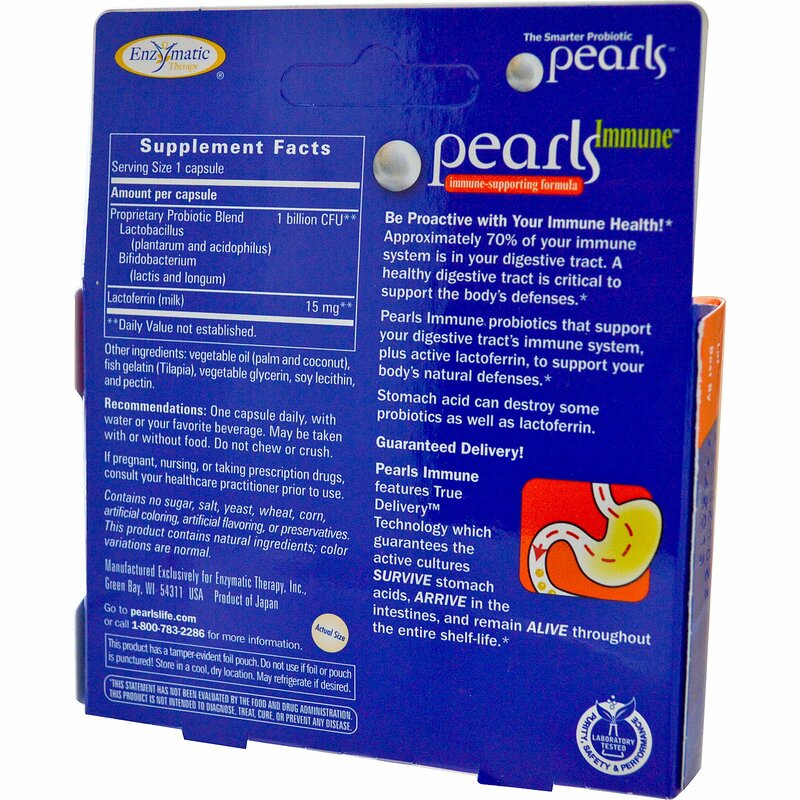 A healthy digestive tract is critical to support the body's defenses. 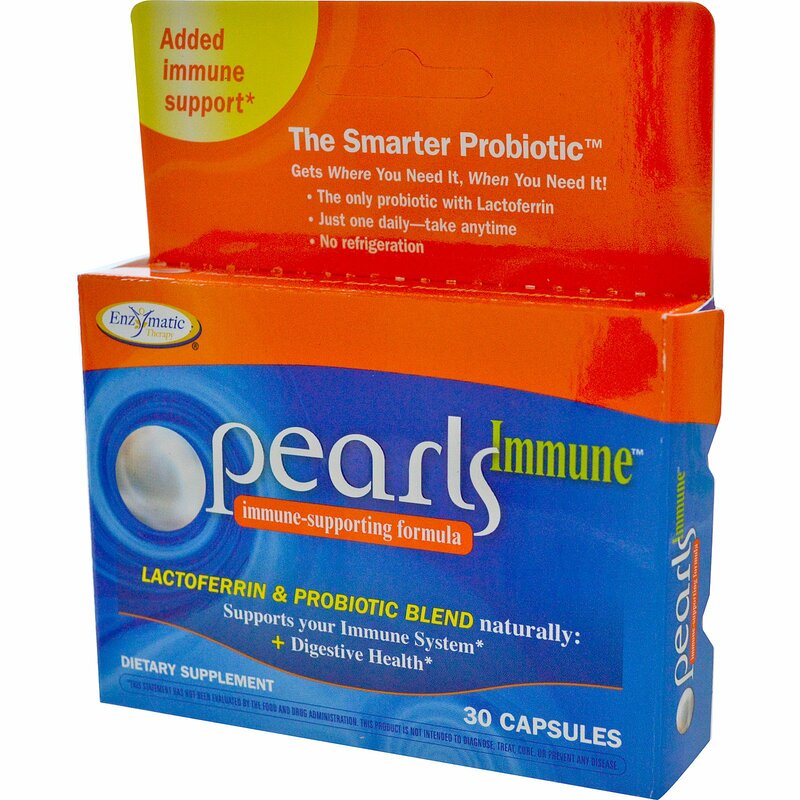 Pearls Immune probiotics that support your digestive tract's immune system, plus active lactoferrin, to support your body's natural defenses. Stomach acid can destroy some probiotics as well as lactoferrin. Pearl Immune features True Delivery Technology which guarantees the active cultures Survive stomach acids, Arrive in the intestines, and remain Alive throughout the entire shelf life. Contains no sugar, salt, yeast, wheat, corn, artificial coloring, artificial flavoring or preservatives. This product contains natural ingredients; color variations are normal.